Welcome to D’Amico Fitness! My goal is to help each client realize the best version of themselves through individualized training programs that prioritize your needs and your goals. My training philosophy and techniques are, and always will be, based on the relentless pursuit of each client’s personal fitness targets: my goal is to listen to you. My workout programs provide HONEST training advice focused on the individual client. A promise to keep your commitment to your goals fun and in perspective! There are no gains without commitment – D’Amico Fitness shares your commitment to yourself while keeping you looking forward to your workouts. 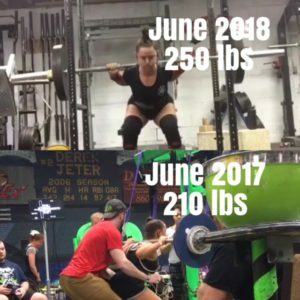 Has added WELL over 40 lbs to her squat in over a years time and TWO months out from competition! 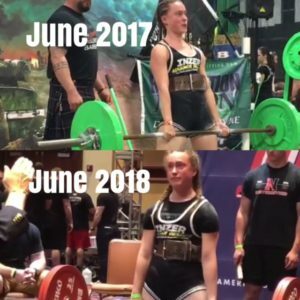 Emily June 2017 Setting 2 Records in the Teen Class In Revolution Powerlifting Syndicate! Kevin Personal Record 300lb Deadlift! Michelle Personal Record 200lb Deadlift! I started working with Mike D’Amico over two years ago and he has completely changed my perspective on working out. I first met with Mike hoping to lose weight, learn about healthy eating habits and to gain some confidence when entering the gym. By working with Mike, I was able to loose about 35 lbs but more importantly- I love coming to workout. Throughout each training session, Mike boosted my confidence by explaining each exercise and demonstrating proper form. When an ankle injury interrupted progress, Mike’s knowledge, positive attitude and encouragement helped to me to adapt to change and push through this hurdle. I also really appreciate Mike’s strong focus on nutrition to provide a complete whole body focus in his training style. On days that I feel are “bad” nutritionally, Mike is always available to reach out to and keep me focused on my long term goals. 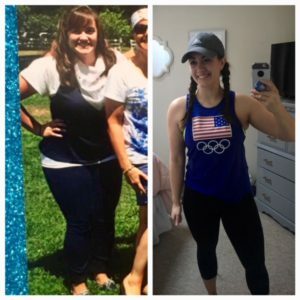 I have not only met and exceeded my previous goals but have since shifted my focus to the weight I am lifting instead of the numbers on the scale. Mike is one of the most positive, optimistic and well informed trainers that I have had the pleasure of working with. I would highly recommend him to others who are hoping to become more informed and confident in their weightlifting and nutritional goals. © 2019 D'Amico Fitness	/ Website by Boston Web Co.